about this book: Snow was a loving and devoted family dog. He loved his humans, his family and his comfortable home. There is nothing that he wouldn't do to protect them and show them his undying loyalty… even facing the darkest secrets of the night. What he didn't know was that his life was going to be changed forever after a faithful meeting with Brogio, a powerful demon who turned him into a vampire to save his life from certain death. At first, Snow had a hard time feeling at peace with himself and with his own reality, but over time his bond with Brogio became more and more powerful. 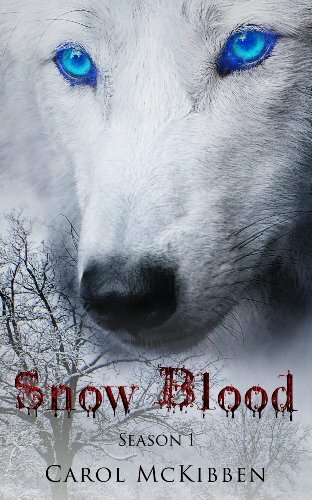 He was not longer Snow, he was Snow Blood.The two will face the wrath of the gods, the dangers of the night, the ups and downs of love, friendship and loyalty; discovering the world when it is at the pinnacle of its beauty… in the dark. Join the dark world of Brogio--the first vampire as seen through the eyes of his faithful canine!